Playing with cats is wonderfully therapeutic. They can calm your nerves and lower blood pressure. However, this doesn’t mean you should share your bed with your cat. Although cuddling at night with your furball may sound relaxing, letting your pet sleep with you may also cause unnecessary stress. 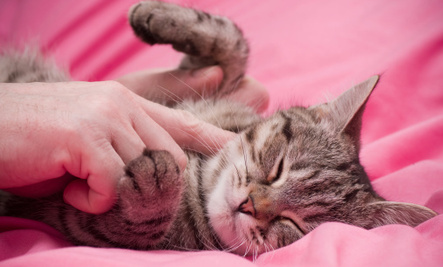 Here are some important reasons why we strongly suggest to just keep the cat off the bed. Cats can sleep up to 15 hours a day, but your cat’s sleep cycle is different from yours. A cat that sleeps the entire day is ready to be racing around the room until three in the morning. Other than being hyperactive, if they do sleep, they may snore or scratch you, or simply nudge you for attention while you’re sleeping, taking a toll on your ability to rest and leaving you feeling sluggish in the morning. More than 25 percent of people around the world have some kind of allergic reaction to dogs and cats, but allergies to cats are much more common that allergies to dogs. Doctors would normally recommend not having cats inside the house if someone is allergic. However, if you love to have a pet cat, there’s a less drastic way to ease allergies and asthma attacks: by simply keeping your bedroom cat-free and using a HEPA filter to eliminate triggers while you’re asleep. Your cat’s litter box is a dirty place, and your cat’s paws may capture bits of waste and litter, which can end up on your bed. 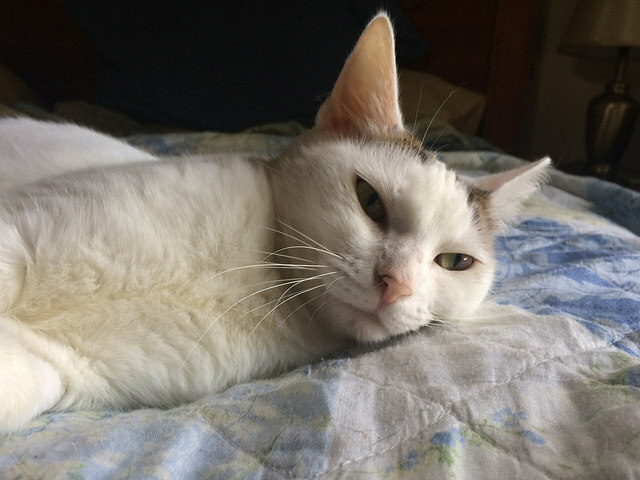 While litter mats reduce the amount of waste and litter that gets tracked throughout your house, you cannot entirely eliminate it from your bed unless you keep the cat off the bed. Sharing the bed with a cat also means sharing the bed with parasites the cat is harbouring, which of course is not a good thing. Although fleas do not live on people, they do bite and leave you itchy. Intestinal parasites that breed on cats like hookworm and roundworms can also cause illnesses to human beings. 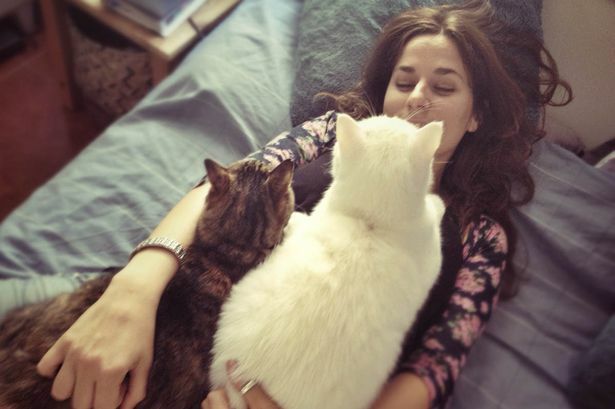 Snuggling with your kitty is comforting, but sharing the covers isn’t ideal for everyone. If you decide to keep your pet off the sheets, make sure to stick to this new routine so your furry friend will get used to it as soon as possible. It will take some time of scratching and meowing outside your bedroom door, but when your cat realizes that this behaviour won’t be rewarded, she’ll learn to look for a new place to spend the nights in.